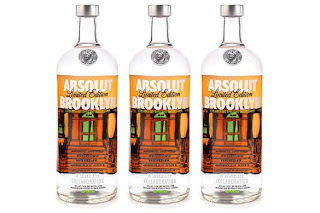 While we're on the topic of viral marketing, have a look at Absolut's new "City Limited Editon" vodka, Absolut Brooklyn. This is Absolut's fourth "City Limited Edition" vodka, after Absolut New Orleans, Absolut Los Angeles, and Absolut Boston. Absolut worked with Spike Lee on this project, which, like the previous city editions has a charitable component to it. Absolut will be donating $50,000 to Habitat for Humanity in New York City. In addition, through a partnership with clothing retailer Brooklyn Industries, a percentage of t-shirt sales profits will also be donated. This "trailer" compliments a Facebook fan page and a traditional ad campaign plastered all across subway stations and bus shelters. It sure represents the brand's intention to go local. What do you think? If Absolut made a vodka for your city, would you try it? Which city should be next?